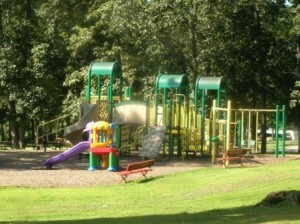 The Playground at the Redbank Valley Municipal Park is designed with all of today’s modern features that will keep your children smiling all day. Designed and built for multiple age groups and with safety first in mind, the playground is a true crowd pleaser. With constant additions and future plans that include and adult fitness course, the playground offers a wide variety of entertainment. 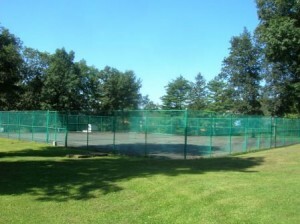 The Tennis Court at the Redbank Valley Municipal Park is yet another exciting & popular recreational amenity. Please be aware that the Park Commission does not supply the equipment for these games – bring your boards and bags for Bean bags/corn hole, Sticks and Pucks for Shuffleboard, and your racket for tennis. The Tennis court is located just inside the park entrance. With plenty of gaming opportunities, the park is sure to keep you busy. Please be aware that the Park Commission does not supply the equipment for these games – bring your boards and bags for Bean bags/corn hole, Sticks and Pucks for Shuffleboard, and your racket for tennis. 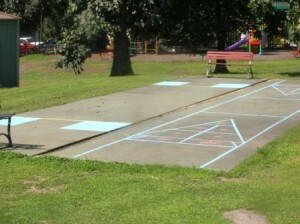 Volley ball court is located just outside the park entrance. Our grandstand features 2,000 seats (1,100 covered) and offers various opportunities throughout the year to find some fun and excitement at our event field event! Check our calendar of events for more information on events such as the Monster Truck Jam, Truck and Tractor Pull, Farm Tractor and Car cruises, Lawnmower Races, Stunt Shows and 6 full nights of excitement at the annual fair! 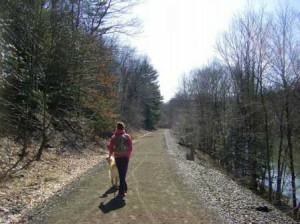 The Redbank Valley Trails is a 51-mile non-motorized, 4-season trail currently being developed and improved. 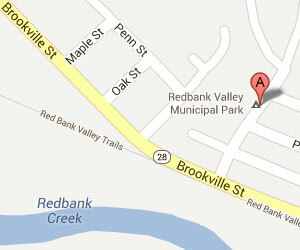 42 miles parallel the scenic Redbank Creek through mostly natural areas. 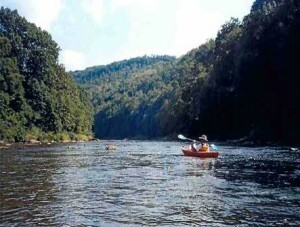 Recreational opportunities include camping, hunting, fishing, hiking, biking, kayaking and bird watching, among others. 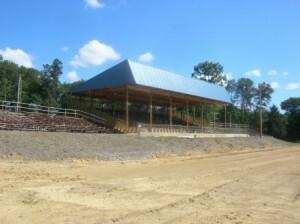 For more information, please visit RedbankValleyTrails.org. Excellent opportunities to fish are just outside of the park. With close access to the Redbank Creek and the Mahoning Creek you have plenty of choices for some great smallmouth & trout fishing in both streams. There is plenty of pike, catfish, carp and an abundance of pan fish throughout the year as well. Canoeing and Kayaking are especially great in the earlier part of the year.